If you’re a coin collector or are simply interested in historic coins, join a coin-collecting club! They offer lots of benefits—and I’ll tell you about some good clubs to consider. What can a coin-collecting club do for you? It can facilitate your attending shows and conventions…help you learn about collecting trends for fun and profit…provide opportunities to exhibit your coins…help you meet people who share your interests…and help you establish business relationships with prominent dealers. And all of this applies whether you are just starting out in the hobby or have been collecting for your entire life…whether your budget for collecting is low or very high…and whether coin collecting is a casual pastime for you or a money-making venture (or both). The American Numismatic Association (ANA) is the nation’s largest coin club. Numismatics is the study of coins, paper money, medallic art and related objects. Joining the non-profit ANA entitles you to a beautiful monthly magazine, The Numismatist; access to the world’s largest numismatic library for the cost of postage; educational on-line and in-person seminars; correspondence courses; and admission to twice-yearly conventions. 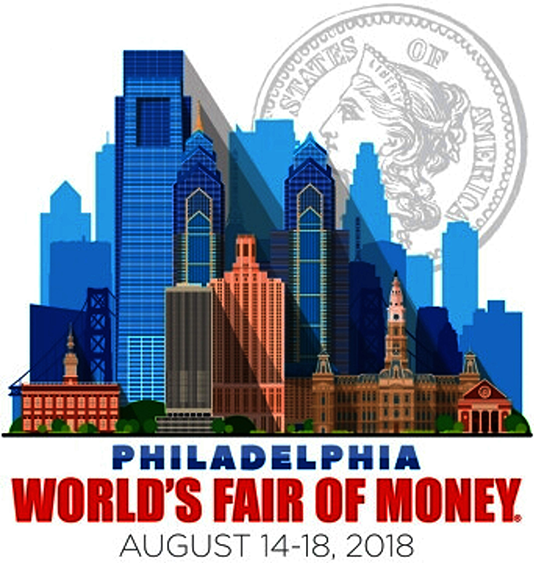 ANA’s 2018 summer convention, the World’s Fair of Money, is being held in Philadelphia August 14-18. (Admission is free to the general public on Saturday, August 18, by the way). One of the great features of ANA conventions is the free educational seminars given by some of the most important people in the coin field. These forums and symposiums are open to the general public at no charge. Another notable benefit of being a member of the ANA is the ability to directly submit your coins to the Numismatic Guaranty Corporation (NGC) for an independent assessment of their authenticity (genuineness) and grade (rated on a scale of one through 70). Non-ANA members must either submit their coins to NGC through a coin dealer—and handing over prized coins to a middleman is something many collectors don’t like to do—or pay $25 per year to join the NGC Collectors Society, part of the umbrella company that owns NGC. Annual ANA membership starts at $28 per year (less for youngsters), but readers of my blog, The Money Connoisseur, can receive $10 off their first year’s dues by entering discount code ST2 (valid through 12/31/2019) in the online shopping cart. The American Numismatic Society (ANS) is a leader in scholarly research, and even though membership in this non-profit is $115 per year, it’s well worth it for serious students of numismatics. The vast ANS collection in New York City is accessible to members at no additional cost ($50 per day for non-members), and membership includes a subscription to ANS’s magnificent magazine and invitations to educational seminars conducted by world- renowned researchers. Eastern US: Florida United Numismatists (FUN) is well-known for its twice-yearly convention. Its annual January convention is the largest coin show of the year, with more than 1,500 dealer booths and a monumental milestone auction (usually one that offers the greatest of the great in coin rarities) and that typically realizes tens of millions of dollars. With the proliferation of online sales, some experts are forecasting the end of coin conventions as we know them. But the FUN show, with its huge attendance and extraordinary free educational offerings, gives hope that coin collectors will gather in person for years to come. Midwestern US: Central States Numismatic Society (CSNS) conducts a large annual convention, usually in April. The CSNS convention has a national following and a multi-million-dollar auction. Western US: California State Numismatic Association (CSNA) is the largest coin club in California, which is significant because California probably has more coin collectors than any other state. CSNA holds periodic coin conventions, sponsors great educational forums, publishes a magazine and promotes small and medium-size coin shows throughout the state. 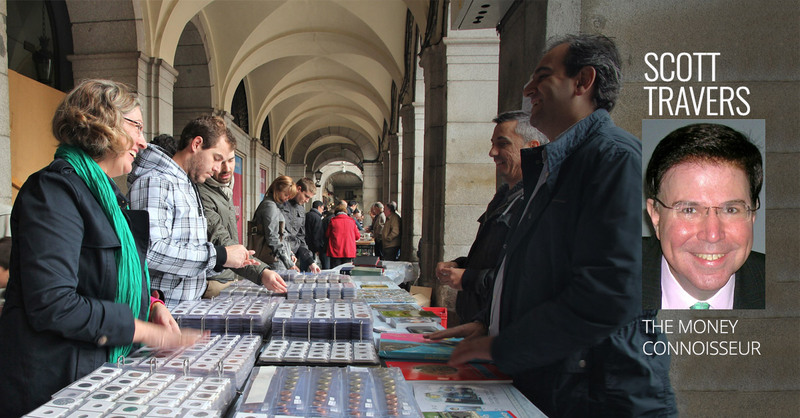 There are lots more coin collecting clubs replete with knowledgeable, enthusiastic members with whom you can share information, make valuable collecting contacts and just enjoy yourself. The ANA maintains an online directory of hundreds of coin clubs around the nation. You can use this list to find a club in your locale. Local clubs often have show-and-tell nights, coin trading opportunities, and dinners. I am a life member of the ANA and all three large, regional coin clubs (FUN, CSNS and CSNA)—but then, coins are not only my passion, but also my livelihood. For most collectors, I say, join at least one coin club…and you will open yourself up to more knowledge, greater enjoyment and maybe even profit from our amazing hobby.